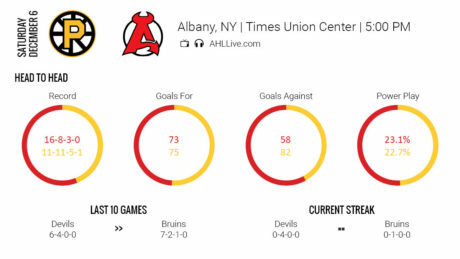 Here is how the Devils and Bears match up heading into Wednesday’s contest. 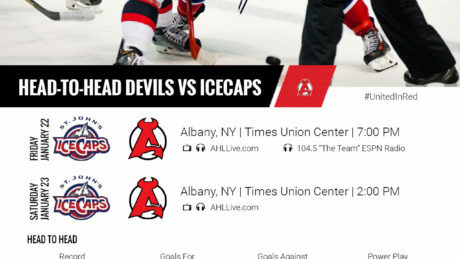 The IceCaps have played the Devils tough so far this year. They prepare for back-to-back games, starting Friday. 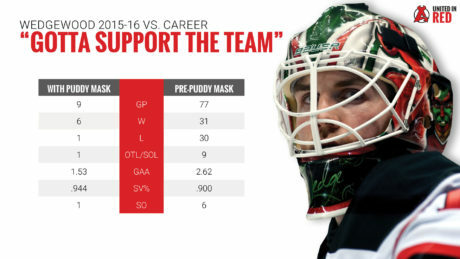 Scott Wedgewood is off to the best start of his career and he looks sharp doing so. 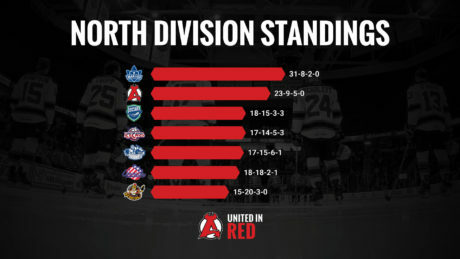 Nearing the halfway point of the season, the Devils remain in second place in the North Division. 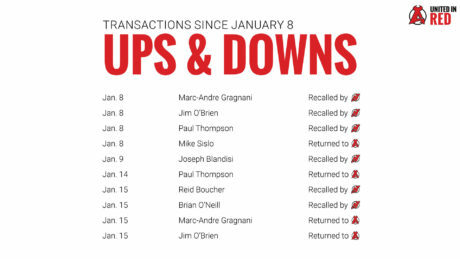 In a weeks time, the NJ Devils have made the 10 transactions. The Devils prepare for the Bruins Friday. 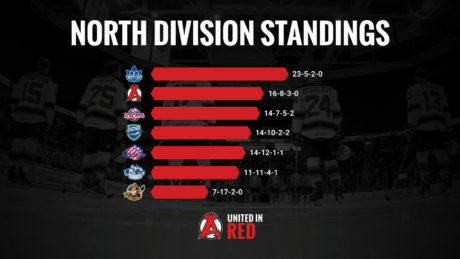 Here is how the two teams match up. 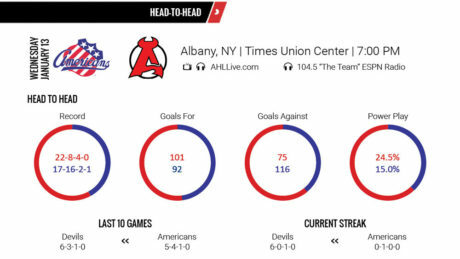 The Devils host the Americans Wednesday. 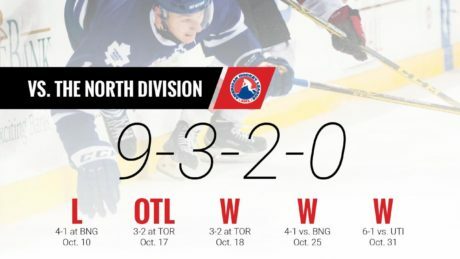 How do the two teams compare? Statistically, the Devils have the advantage heading into Friday’s game against the Crunch. 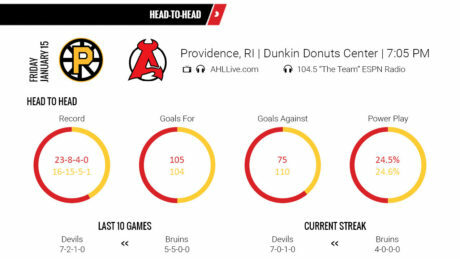 The Devils return from the holiday break for a 5 pm outing against the Bruins Saturday. 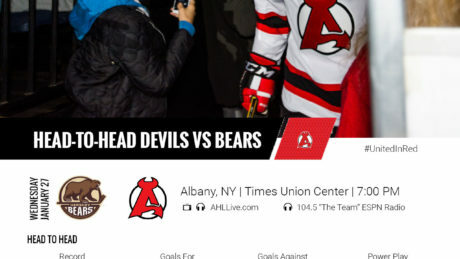 Despite a recent skid, the Devils remain in second place in the North Division standings. The Devils have been strong against the North Division, going 9-3-2-0 during the first 14 contests. 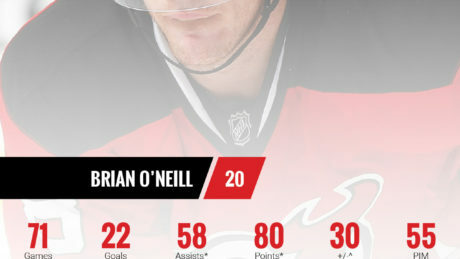 Brian O’Neill, the AHL’s MVP in 2014-15, has cleared waivers and is assigned to Albany.